The Adventurers Guild: Twilight of the Elves is the second book in the Adventurers Guild Series from Zack Loran and Nick Eliopulos and it is one of my most anticipated reads of 2018! Yep, that's right a Middle Grade Fantasy Read is one of my most anticipated reads of the year, you 'guys' don't knock it till you try it! "When dual writing how did you build such an intricate and believable fantasy world with out going over the top? Even on my own, much less with a writing partner, a world I created would likely look like a Jackson Pollock painting; an explosion of information." 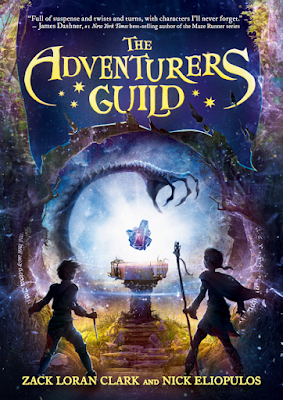 We’re Zack Loran Clark and Nick Eliopulos, authors of THE ADVENTURERS GUILD, a fantasy trilogy for young readers. 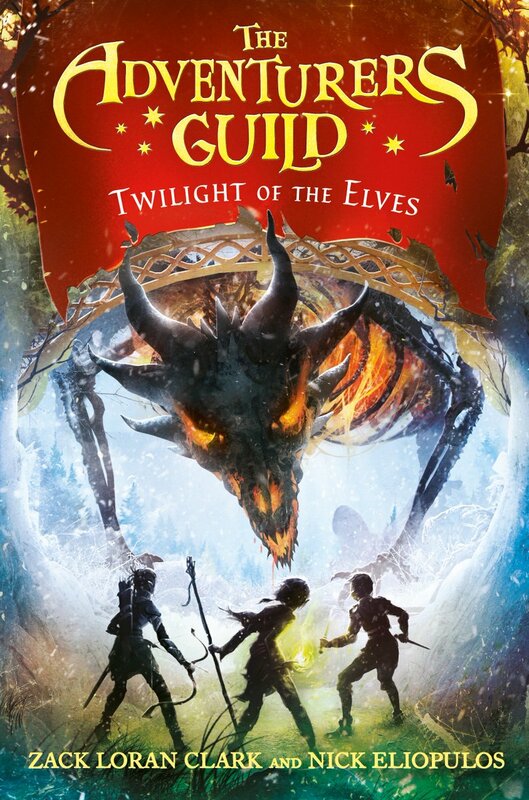 The second book in the series, TWILIGHT OF THE ELVES, is out this November. We’re commandeering this post to talk a little bit about world-building. It can be tricky navigating exactly how many details to fit into your story without the common pitfall of fantasy TMI. Here are some of the pointers we kept to while crafting our setting. Join us in our world-building mutiny! 1. Is there a high concept? 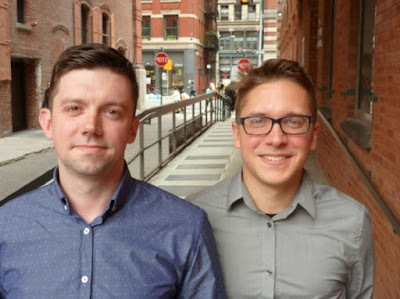 We’re both avid fantasy fans and tabletop gamers, and our goal with TAG was to bring the magic of settings like Dungeons & Dragons, Pathfinder, Dragon Age, and of course Lord of the Rings to younger readers. Not every fantasy needs to be "high" concept — many of our favorites aren’t — but having a clear vision of what we wanted to accomplish with our series helped a lot in shaping the details. THE ADVENTURERS GUILD takes place in a world that will be familiar to anyone who’s ever seen a Hobbit movie or rolled a d20. There are elves and wizards and monsters — except in our books the monsters have already won. Hundreds of years ago, a disastrous ritual flooded the setting with supernatural horrors, effectively ending civilization. 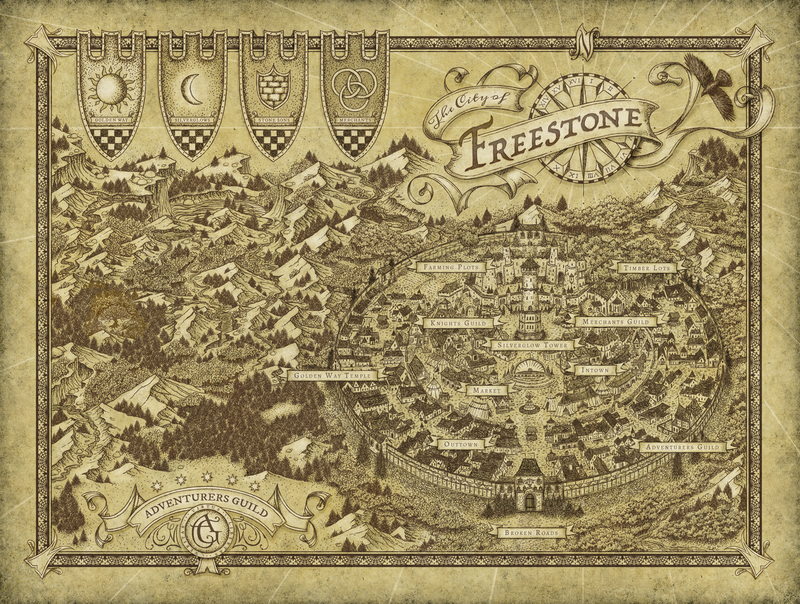 Now, the city of Freestone is one of only a handful of survivors, and few ever leave the protection of its walls. Knowing the tropes we wanted to play with, we were able to use them as a frame for our world-building. 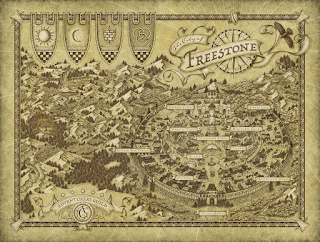 Freestone’s whole social structure is literally built upon four archetypal fantasy “classes,” and from there we were able to expand with our own twists! 2. Is it fun / interesting? Yes, it’s probably important that you know how your fantasy denizens get their water and clear their waste. If you’re lucky, someone will love your story enough to try to stump you by asking! But urban planning can make for a dull read, especially if the audience is younger. If you sense yourself beginning to lecture, try to test the facts you’re putting out there. Are they adding something cool or exciting? 3. Is it important to the story? Sometimes, though, that boring old water supply gets poisoned by an evil dragon-worshipping cult, and then all the talk about the town’s well-regulated aquifers suddenly comes back! There’s nothing we love more than the goose bumps after a seemingly innocuous detail becomes a dangerous turn in the plot. 4. Put it in dialogue. Honestly, just having your characters deliver some of the world-building can take the strain off your expositional load. Putting information in dialogue also forces us to think about brevity and tone. Would my protagonist really spend a paragraph talking about how the chamber pots are emptied into the River Stynx? Or would she joke that her friend smells like he took a swim off the wrong bank? If you’ve done more world-building than you can (or should) fit into the book itself, keep in mind that there are a ton of other venues for sharing that information. An appendix, a website, a behind-the-scenes pamphlet . . . Put all that lovely detail where people who care can find it, and that will lessen the sting of cutting it from the story proper. We’ve shared a lot of our own extra world-building material on our blog at www.dayofdangers.com. 7. Save it for the sequel. One of the joys of writing a sequel is that you have a bit more breathing room. 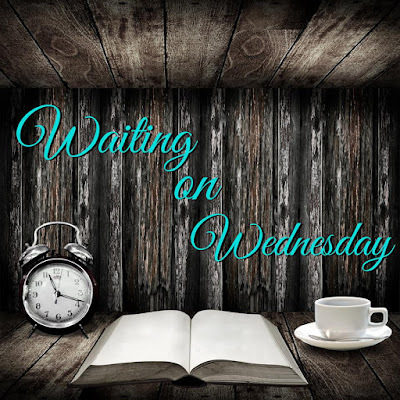 With a first book there is a lot of pressure to introduce your world and your characters in a succinct way. But anyone who comes back for the sequel has already been won over, at least a little, so you have some breathing room in book two. We show off a little bit more of the world we built in TWILIGHT OF THE ELVES, hoping fans of the series will be happy to spend time there. We certainly were! There you have it – the inside scoop on how we handled world-building. We hope these tips prove useful as you craft castles, populate enchanted forests, and, yes, plumb the depths of fantasy plumbing. Now go forth and create!